What is an Esther Party? An Esther Party is a gathering of women at a church or home or business where Amazing Grace Ministries shares biblical information on anointing oils. 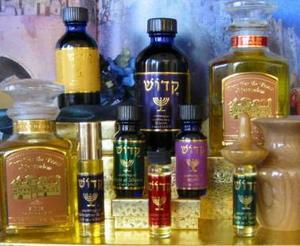 This will include where the fragrance is found in scripture, its usage and known facts of the essential oil. Amazing Grace Ministries will set up a product and demonstration table with the anointing oils, candles and Esther Bath Products. The host invites guests to their home, church or business to learn how to use the anointing oils. They will be able to sample the anointing oils and hand lotion, as well as purchase any one of the items in stock. During the meeting someone’s name will be selected to be Queen Esther. This time will encourage all to be involve with giving this individual a word of encouragement, prayer, reading a scripture to them, as well as anointing them with Myrrh Anointing Oil. This will all take place during a time of beautiful worship. You and your guest will be treated as royalty. It is more than a party, by God's Grace it is a Holy Spirit Ministry that takes place. For hosting an Esther Party, you will receive 10% off of product purchased for yourself. How can I host a Esther Party? It is easy, just call Amazing Grace Ministries to book a date and time for your Esther Party. Once a date and time are established, you will need the following items. (1.) A table - at least 5 feet long to put the product on. This table needs to be near the area that I will be speaking because I take items off the table to pass around to your guests during the teaching. (2.) A bowl or something to put the names of your guests in - so one can be picked to be Esther. Typically, the person hosting an Esther Party will have some snacks and drinks for the guests as well. Finally, You will need to invite your friends.